Mortgage Applications Spike: Should You Apply Now? Last week was a really, really good week for mortgage applications. The Mortgage Bankers Association reported that home loan apps surged 49.1% during the week ending January 9th from one week earlier. Before you attribute that jump to a slow first week of the year, note that the MBA reports the numbers on a seasonally adjusted basis. If you look at the unadjusted numbers, the application index actually increased 119% compared with the first week of 2015. Breaking down the numbers a little further, refinance apps jumped 66% from the previous week and purchase apps chalked a 24% gain. The refinance index climbed to its highest level since July 2013, which is excellent news. However, the purchase index is only about two percent higher than its year-ago level. As a result, the refinance share of mortgage activity swelled to 71% of total applications from 65% the previous week. No secret here. Applications got a boost from the lowest mortgage rates in roughly two years. They’re also not too far from all-time lows. So a lot of homeowners are thinking about refinancing again, even if they just took out a mortgage a year ago. I know some people that are refinancing mortgages they took out about six months ago because they can lower their rate by about a percentage point at no cost. Pretty straightforward. Now that rates are closer to all-time lows, it could be time to take another look at the benefit of refinancing. It may have not made as much sense a month or two ago, but the story may have changed. 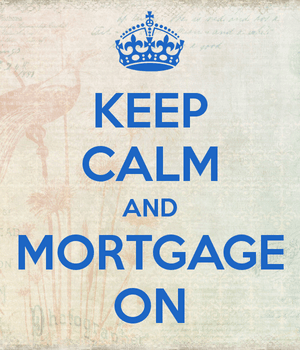 This is especially true for those with FHA loans. If your mortgage insurance premiums can be slashed by 50 basis points and you can snag a lower mortgage rate, it could be a smart move. It’s also aiding purchase demand, with FHA purchase apps seeing a 17% increase week-over-week. I expect the FHA to get a big boost thanks to their premium cut, and it couldn’t have come at a better time with rates as low as they are. Still, conventional loans are probably still the better deal for most borrowers, which might explain why the FHA share of total apps decreased to 7.5% this week from 9.3% a week earlier. Don’t forget the relaxed rules over at Fannie Mae and Freddie Mac either. Recently, they reintroduced 97% LTV lending, meaning prospective home buyers can purchase a home with just three percent down. This compares to the five percent down payment requirement that was in effect before they decided to loosen up. The MBA also noted that applications to refinance a VA loan increased by 50% from a week earlier. VA loans tend to be larger than other government loans, and thus benefit more from an interest rate decrease. Lastly, note that homeowners may no longer be locked-in to their homes because mortgage rates are low again. This means they’ve regained mobility and may list their homes and purchase new ones without fear of missing out. This could help boost inventory and purchase activity. Don’t forget to shop around! We’ve definitely seen a spike in mortgage apps in Washington state in the last week. FHA refinances are way up with due to the combination of lower rates and announcement of the reduced monthly mortgage insurance premiums.